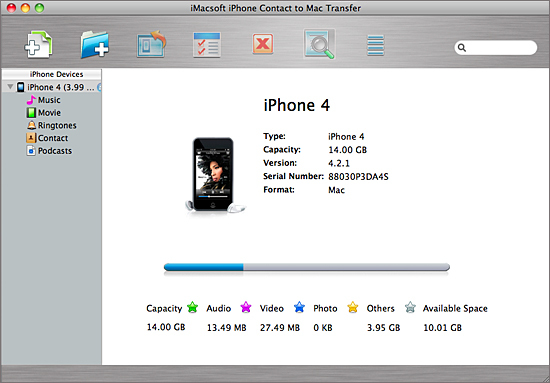 Download iMacsoft iPhone to Mac Transfer, install and launch it on Mac. Connect your iPhone to Mac, the iPhone to Mac transfer will automatically recognize it and the device info will be shown as the picture below. 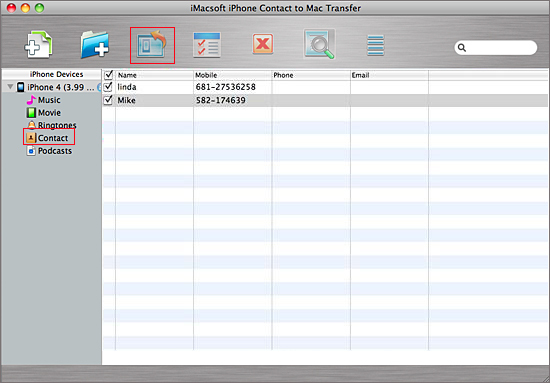 Please purchase iMacsoft iPhone contacts to Mac Transfer and lots of functions await you. In this screen, you click Contacts icon in the iPhone list, the iPhone contacts info will display as shown in your iPhone screen automatically. You can view the person's Name, Mobile, Phone, E-mail on contact. Before transfer any contact, you need to choose on or more contacts on the display list. And then press export checked files to local button and select a target destination to start iPhone contacts to Mac transferring. Several minutes later, all iPhone oontacts are stored on Mac as .TXT file and .CSV files. 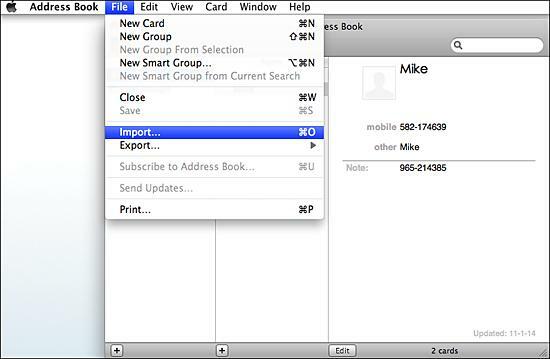 Export all your contacts from iPhone to Mac as .CSV file format at the desktop. Run the Addres book application, add import .CSV files to it. Then you can view all the contact lists on the address books screen. 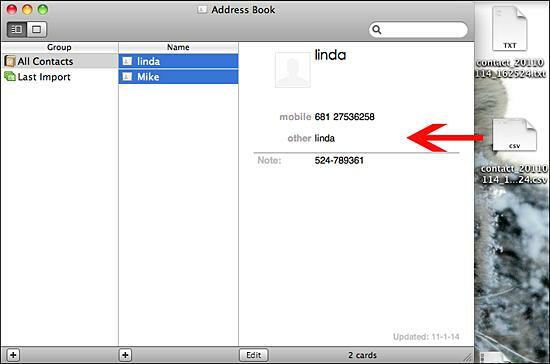 Run the iTunes and connect new iPhone to Mac, you can choose Info menu and select sync address book contacts option which will show contact lists as below you add to the address book. And then press Apply button to sync all contacts you select to iPhone in several seconds. You can make use of iPhone to Mac Transfer software which can amazingly transfer iPhone files including photos, music,SMS, contacts etc to Mac. 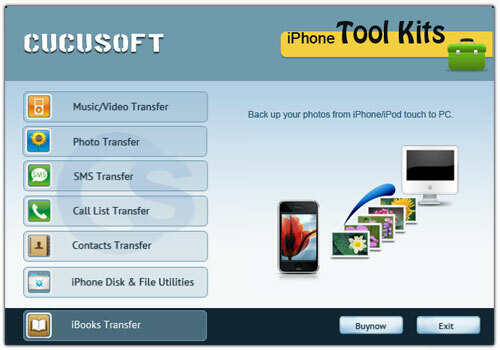 The software can do iPhone file transfer in an easy and safe manner.